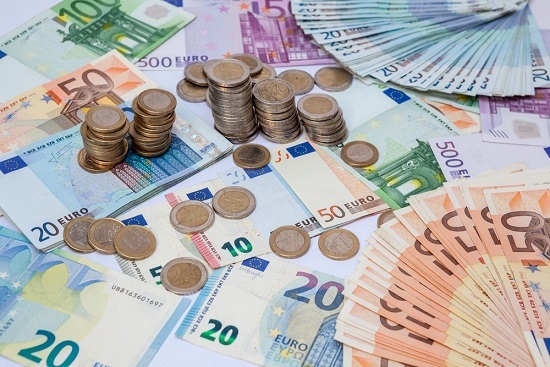 The euro headed towards a two-week high on Tuesday after surveys showed eurozone business growth remained robust, although fears of a trade war with the United States kept the single currency trapped in narrow ranges. With the U.S. central bank likely to raise interest rates at least twice more this year and the European Central Bank unlikely to raise interest rates until the second half of 2019, traders remained cautious about the outlook of the euro. Still, the euro rebounded from early lows after IHS Markit’s Euro Zone Composite Flash Purchasing Managers’ Index (PMI), seen as a good guide to economic health, dipped slightly in July to 54.3. Anything above 50 indicates growth. The euro EUR=EBS was trading a fifth of a percent higher at $1.1712 after hitting an intraday low of $1.1654 in early London trading. It climbed to near a two-week high in the previous session at $1.1750. Elsewhere, the Japanese yen trimmed most of its gains as expectations diminished about whether the Bank of Japan will launch a fresh round of stimulus at a scheduled policy meeting next week. Japan’s central bank is debating changes to its interest-rate targets and stock-buying techniques, people familiar with the central bank’s thinking told Reuters, sending bond yields and the yen rocketing higher on Monday. The yen JPY=EBS was broadly flat against the dollar at 111.21 yen and a touch stronger against the euro EURJPY=EBS and sterling GBPJPY=EBS. Risk appetite was mostly firm after Beijing promised to pursue a more “vigorous” fiscal policy, stepping up efforts to support growth. Both the euro and sterling edged higher against the Swiss franc as investors bet that further policy easing from China would send investors into higher-yielding assets. However, expectations of more loosening drove the offshore yuan down half a percent to a 13-month low of 6.8448 yuan per dollar, its lowest since June 2017. Bitcoin, the world's best-known cryptocurrency, hit $8,000 on Tuesday on the Bitstamp exchange BTC=BTSP, its highest since May 23. Recent reports about impending approval in the United States for a cryptocurrency exchange-traded fund have helped bolster demand in recent sessions. Bitcoin has lost more than half its value in 2018 as institutional and retail interest declined.